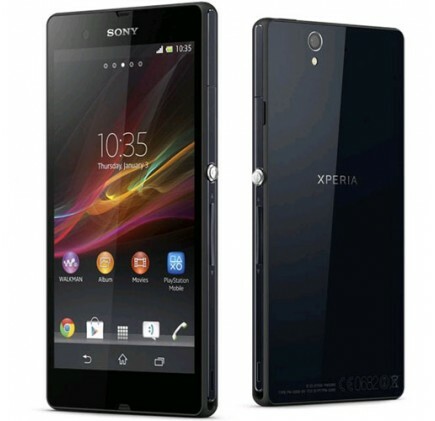 Have you seen the new advert for Sony’s latest very well received smartphone the Xperia Z? If not you can watch it below. In a very clever way it tracks the history of the brand picking up on how its products have played such a key role in the last 40 years. So there’s a pair of roller skating girls using a Walkman in the early 80s and then the fall of the Berlin Wall being captured by one of its then state of the art 8mm handycams. And then it brings things up to date with the profile of the Xperia Z highlighting its excellent camera and its waterproof screen. The message is that here is a brand that you have been in love with before – maybe you can fall in love with them again. President Kazuo Hirai is focusing on mobile devices as a key to reviving Sony, which is reeling from four straight annual losses amid slumping demand for TVs and competition from Samsung Electronics Co. and Apple Inc., the two largest smartphone makers. So can Sony become the next big thing in mobiles? Well Sony has had a chequered career in the mobile market. Its brought out some early innovative models twenty or so years ago in the guise of its Mars Bar type products. Then in a bid to increase its market share it teamed up with Ericsson to launch the innovative Sony Ericsson range of products including some very early promising smartphones, the first phone that worked with a snap on camera and the first with a colour screen. The deal enabled Sony to focus on what it saw as its core consumer electronics markets – games consoles, personal music players and TVs. As it lost market share in those markets to Samsung, Microsoft and others and stumbled in mobile so Sony ended the deal with Ericsson and has gone its own way. There’s no denying that the Xperia Z has generated more excitement about a phone with the Sony name on it than any other for a good five years. It is a solid smartphone that ticks all the key boxes – large 5inch screen, powerful 1.5 GHz Quadcore processor, Android Jellybean 4.1 OS, but also adds some real innovation in its waterproof body and exceptional music quality. It just feels right for the time, in the way that the Samsung Galaxy S3 did, and deserves to be a big success. The big question though is where do Sony take the smartphone from here? Sony can excel at music, cameras and more, however the big opportunity for the company is probably around design of the next generation of handsets. All smartphones are looking a little similar at the moment and Sony has an almost unrivalled reputation in creating products with designs that are both innovative and ultra desirable. I doubt if the next round of Sony’s smartphones will take the format too far from the Xperia Z, but maybe this time next year we could be talking about the most desirable Android handsets coming from the Sony stable. If Android phone buyers are as agnostic about brands as I suspect they are there is a golden opportunity for Sony to take a huge chunk of out of the sales of their Korean rivals and maybe even re-establish itself as a brand that leads the way in mobile.